Treasury yields -- specifically the yield on 10-year Treasury Notes -- and mortgage interest rates move in tandem because both are directly tied to the cost of money, which is the interest income that investors demand for lending money through the purchase of Treasury securities. The 10-year T-Note forms a floor underneath mortgage interest rates, which are higher than T-Note yields by a varying amount known as the “spread.” The spread exists because mortgage borrowers occasionally default, making mortgages risky. In contrast, Treasuries are backed by "the full faith and credit" of the U.S. government. The U.S. Treasury issues bills, notes and bonds as debt securities, often called simply "Treasuries." The maturities of the securities range from one month to one year for bills, from over one year to 10 years for notes, and from over 10 years to 30 years for bonds. T-Notes and T-Bonds are issued with fixed interest rates, paid as semi-annual "coupons," and with stated face values, which are the amounts the securities will pay upon maturity. T-Bills are sold at discount and pay face value at maturity, with no intervening coupon payments. Treasuries are sold for as low as $100 per security. Demand and supply set the prices of Treasury debt, both at initial sale via public Treasury auctions and in subsequent secondary-market trading. Yield is the percentage return on an investment. The yields on Treasury debt normally increase with maturity, but in times of high inflation, yields can invert, so that the discount price of T-Bills actually yields more than the T-Notes and T-Bonds. The price of Treasury debt determines its yield. If an investor pays less than the face value, a note or bond's yield is pushed higher than its coupon rate, since there is a gain at maturity on the difference between face value and the purchase price. The converse is true for prices above face-value, which lower the yield below the coupon rate. When rising inflation is a concern, investors require higher yields to protect against erosion in money’s buying power. A mortgages is a loan that is collateralized by property such as a single-family home or a condominium. Banks set mortgage rates based on the creditworthiness of borrowers, on property values, and on the current yield of 10-year T-Notes. The 10-year maturity is used because many mortgages are paid off within 10 years, even though the mortgages have 15- or 30-year terms. The banks require a spread above current 10-year T-Notes to compensate for the riskiness of mortgage loans, but competition among lenders ensures that mortgage rates will be tightly coupled to T-Note yields. 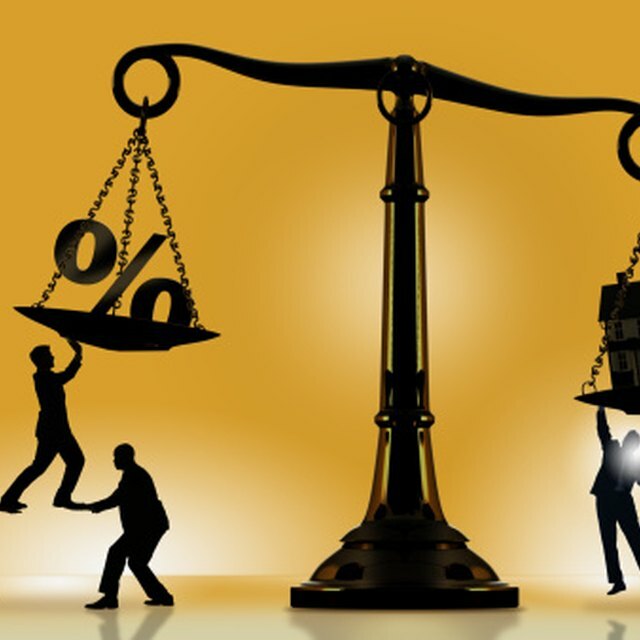 If a bank sets a mortgage rate too low, defaults may cut or negate profits. If a bank sets rates too high, the bank will lose business to its competitors. Banks are further rate-disciplined by the fact that they sell off most of their mortgages to U.S. government agencies or private financial companies. The mortgages are pooled and repackaged, or securitized, into mortgage-backed securities that are then sold to investors. The banks will have trouble selling mortgages with interest rates that are too far below or too far above T-Note spreads, because the mortgages don’t offer attractive risk-adjusted returns to investors, or investors might suspect the mortgages to be overly risky and avoid them. The mortgage packagers know these facts and may decline to buy mispriced mortgages, leaving the lender to hold a risky loan for its lifetime.